Using a diffuser is a great way to reap the benefits of essential oils while keeping your room or office smelling like a gorgeous jungalow. However, neglecting to clean your diffuser can actually work against you and can be pretty harmful to your health. Basically, the humid environment inside your beautiful little diffuser makes it especially easy for the device to get moldy, grow bacteria and even harbor viruses, when not cleaned regularly. Gross! If you frequently use your diffuser, and by frequently we mean two to three times a day, we suggest that you give your diffuser some extra TLC and clean it after each day of use. While this may seem a bit excessive, it’s not. Getting in the habit of regularly cleaning your diffuser will increase its shelf life and performance- aka you save money AND you continue to breathe in pure, clean botanical extracts! Win-win, right? 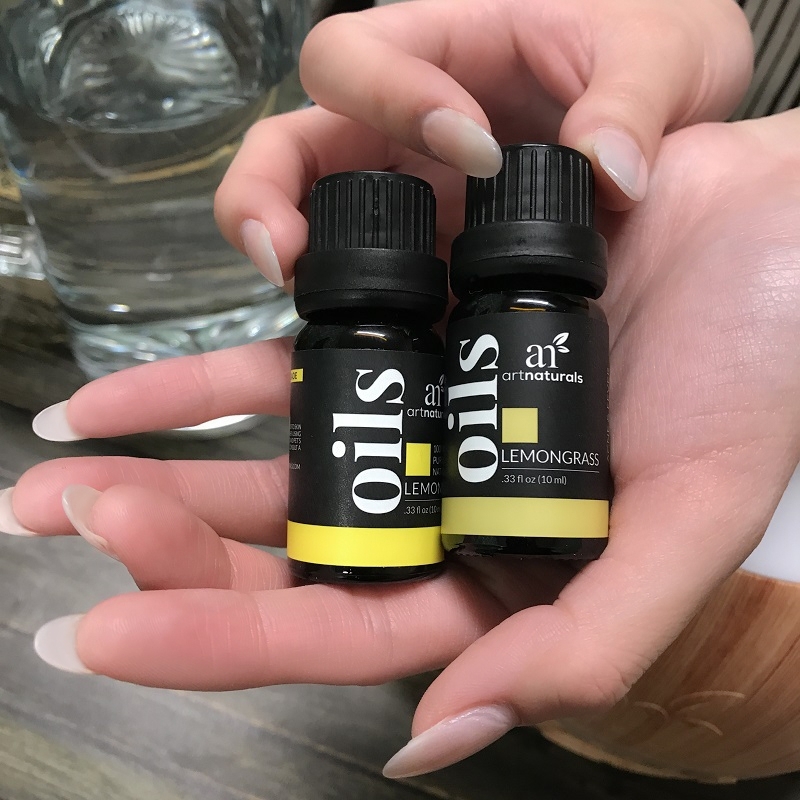 Plus, cleaning your diffuser regularly gets rid of leftover oils and residue which can affect the aromatic experience you have when you put another scent or oil in your diffuser. To keep your diffuser clean and bacteria-free while you Netflix and chill, we have gathered a few simple methods for you to follow including a daily rinse, a weekly sanitize and a monthly deep clean. 2. Wipe down inside of diffuser with a damp q-tip or kleenex. 1. Make sure diffuser is empty. 2. Soak a cotton swab or ball in alcohol or citrus essential oil (like lemongrass). 3. Gently scrub the inside of the diffuser. 1. Fill your diffuser about halfway with clean water stopping well below the max line. 2. Add up to 10 drops of pure white vinegar. 3. Let the diffuser run for about 3-5 minutes to allow the water-vinegar mixture to disperse throughout the device to clean it. 4. Drain the diffuser completely. 5. Using a cotton swab dipped in alcohol, clean the tight spots and corners of the diffuser to make sure that no spots are left dirty. 6. Rinse with clean water. 7. Use a dry cloth, or more cotton swabs or cotton balls to wipe the diffuser and dry it thoroughly. Click here to purchase a Bluetooth Diffuser! Click here to purchase Lemon Essential Oil! Click here to purchase Lemongrass Essential Oil! Want to read more about the benefits of Lemon oil? Check out our blog on Lemon Oil Benefits and Usage.